Drivers seeking an unstoppable half-ton will find themselves quickly won over by the 2019 RAM 1500 towing capacity. 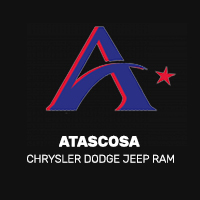 Premiere towing capabilities, which are aided by powerful engine options, help make this truck the right pick for Three Rivers or San Antonio drivers looking for their next worksite truck. Let’s take a closer look at what you can expect before visiting us in Pleasanton to test drive one for yourself. The 2019 RAM 1500 can be equipped with either a V6 or V8 engine – both offer a staggering amount of towing power for you to command. Upgraded for the 2019 model year, the new RAM 1500 delivers authoritative power and capability. From its high-performing engine to available protective Weathertech seat covers, it’s fit and ready to tackle any job that comes its way. You’ll find the latest lineup in our showroom, so visit us today in Pleasanton to learn more. You can also explore our available inventory of RAM 1500 Ecodiesel models, and compare the 1500 to the RAM 2500.